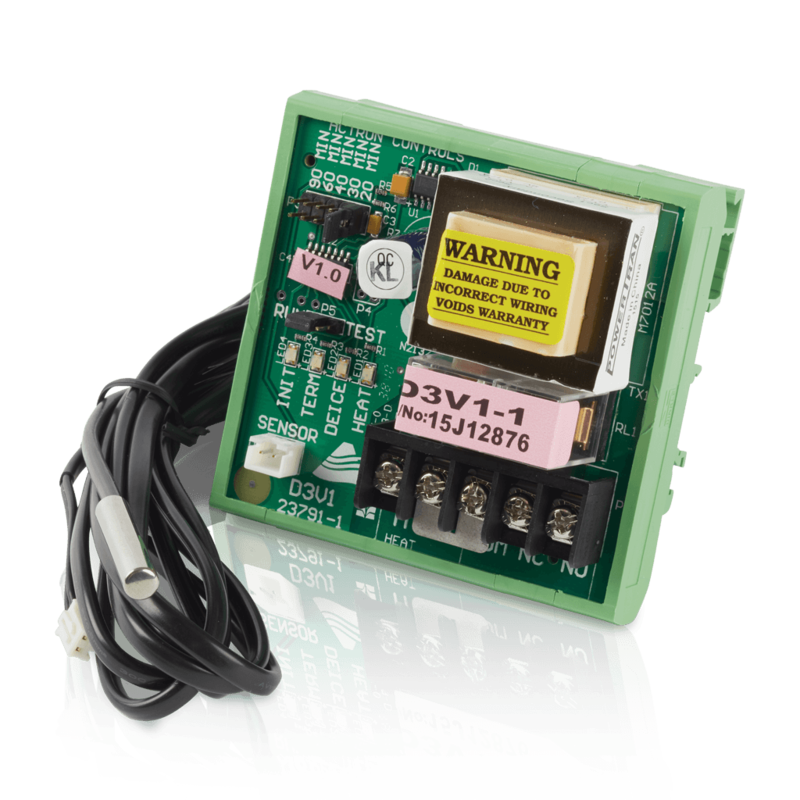 The simple to use D3 Defrost Control is intended to be uses as a stand-alone Electronic De-ice Controller, and has been specifically engineered to fit the footprint of many OEM defrost/de-ice controls. This flexible design means you can save time and money on installation. It also means it is the ideal replacement for many of the old style mechanical or electronic defrost controls that may have failed or cannot be repaired due to age or availability. 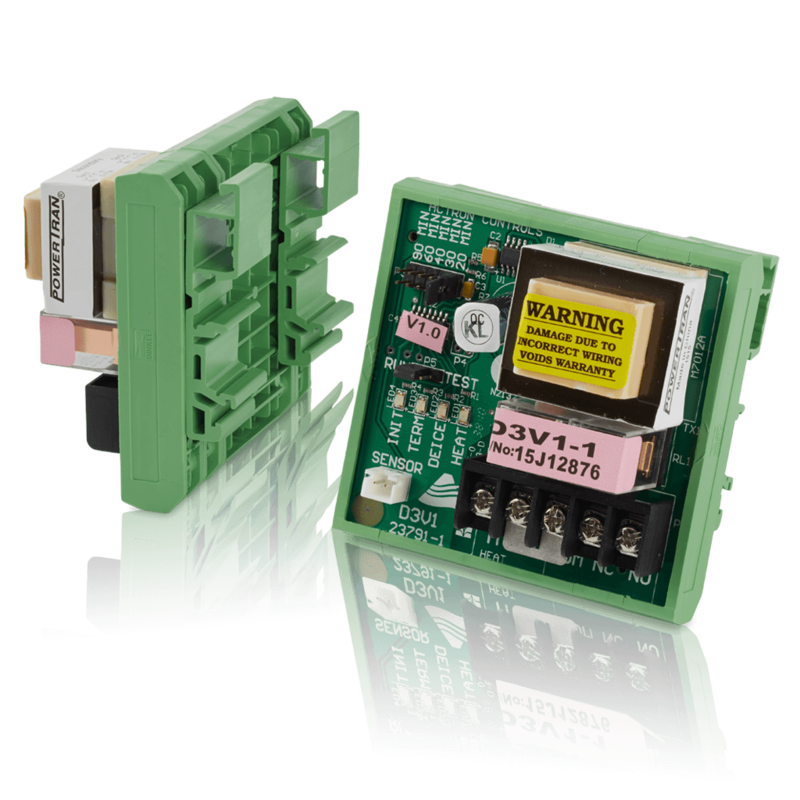 By keeping the same Din rail mounting footprint and maintaining the same wiring as the older style electronic defrost controls, it means that when installing the D3 there is no need to rewire or rearrange the electrical panels of the condenser, saving time and money. 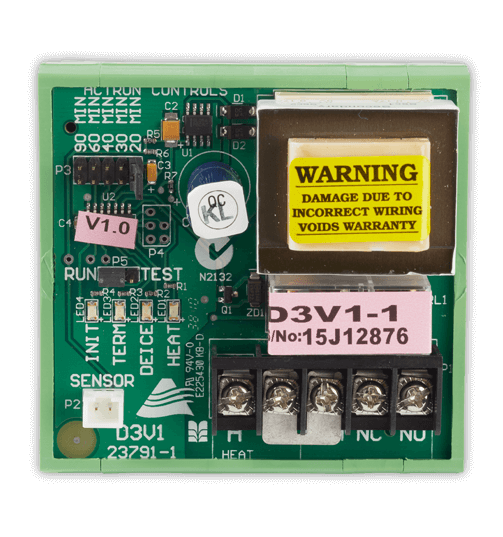 The D3 Defrost Control comes with built-in safety features designed to prevent damage to the condensing coil in the unlikely event of a sensor failure.